Proposition One: The constitutional amendment which increases the amount of the residence homestead property tax exemption from $15,000 to $25,000 and also provides for a reduction of the limitation on the total amount of ad valorem taxes that may be imposed for those purposes on the homestead of an elderly or disabled person to reflect the increased exemption amount. Proposition Two: The constitutional amendment which authorizes the legislature to provide for an exemption from ad valorem taxation of all or part of the market value of the residence homestead of the surviving spouse of a 100 % or totally disabled veteran who died before the law authorizing a residence homestead exemption for such a veteran took effect. Proposition Three: The constitutional amendment which repeals the requirement that state officers elected by voters statewide reside in the state capital. Proposition Four: The constitutional amendment authorizing the legislature to permit professional sports team charitable foundations to conduct charitable raffles. Proposition Five: The constitutional amendment to authorize counties with a population of 7,500 or less to perform private road construction and maintenance. Proposition Six: The constitutional amendment recognizing the right of the people to hunt, fish, and harvest wildlife subject to laws that promote wildlife conservation. Proposition Seven: The constitutional amendment which dedicates certain sales and use tax revenue and motor vehicle sales, use, and rental tax revenue to the state highway fund to provide funding for non-tolled roads and the reduction of certain transportation-related debt. This proposition does not raise taxes it appropriates already existing funds. About $2.5 billion from the state sales tax would be devoted to non-toll road projects, plus a varying additional amount would come from the motor vehicle sales and rental tax. Please take time to vote! It’s not only your right, but it allows your voice to be heard on many important issues. I know there is an early voting location at the Parman Library located on Wilderness Oaks just off Blanco Road. Be sure and cast your vote! 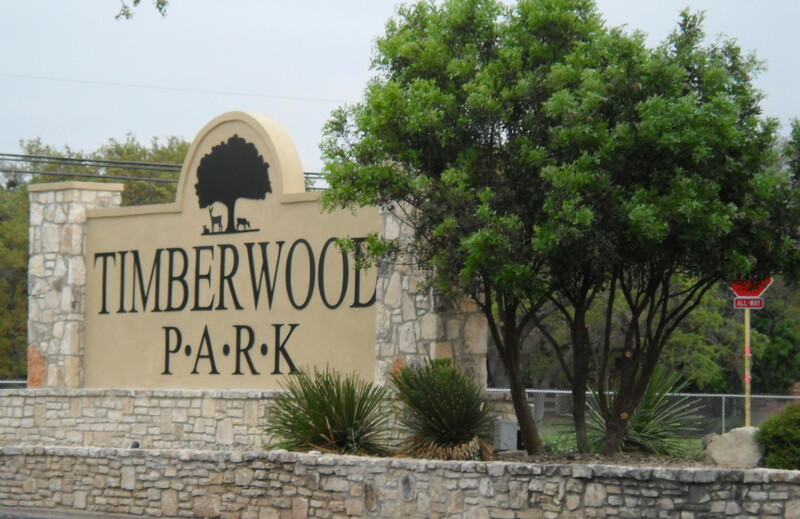 Proxy ballots have been sent out for our annual Timberwood HOA meeting. Be sure to vote in the upcoming election for 4 positions opening on the HOA board. The Annual Meeting will be held on Tuesday, December 1, 2015 and begins at 7 p.m. If you cannot attend, be sure to send in your proxy vote to let your voice be heard! Brush collection/drop off: I know everyone always wants to know about the fall brush drop off activity. We received notice recently that the brush drop off for fall has been cancelled due to scheduling conflicts with the county who usually assists with the processing of our brush and debris dropped off. The board citing a new date would be set for early spring 2016.